I was at the Satellite 2012 conference last week, and the topic of reputable satellite phone providers came up as I asked the five CEOs a question about how they want their products sold. I cited the recent state bid where a janitorial supply company had won a bid on BGAN terminals. The company didn’t even know what a BGAN was, let alone how to support it – they barely knew what they were selling let alone could even call themselves knowledgeable in the world of satellite communication. This is a common dilemma when it comes to being in the business of selling communication equipment that isn’t quite mainstream yet. We have consumers looking for global phones that will work while they are boating or hiking, and frequently companies in search of redundancy options to support disaster recovery efforts. Yet, there is so much more to the process of implementing satellite technology such as voice, data, and tracking systems. Picking the lowest cost provider should be the very last thing you do when making a satellite phone purchase especially when you can find hundreds of providers on the Internet. You get what you pay for, and (I’ve beat this drum for years), buying the lowest price will ALWAYS cost you more. Always. 1) Consider your long term goals when it comes to using our products, because satellite technology can have an impact on your entire business. For example, will you be transferring data in addition to making phone calls? We ask our clients these questions every time they consider a purchase since we want to make sure they have fully considered the results they need. Then we can better discuss rate plans, pooling airtime, roll over minutes and more. 2) How long has the provider been in business? 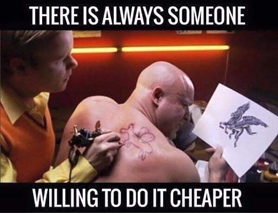 This is important to note because I have seen vendors go out of business when they try to offer below cost prices while hiking up service plans. You will lose in the end when the provider is no longer able to honor your contract. There have been some pretty high profile ‘re-bids’ in this sector due to the low-cost provider going out of business. 3) Where will you be using your satellite solutions? This is key since different manufacturer’s products have varying capabilities depending on the part of the world you are in. Be sure you understand how your phone or device will work when you are out in the ocean, or travelling abroad. 4) Can you pool your airtime? I have not seen any other provider with rate plans that benefit multiple users. For example, GlobaFone will allow many users under one plan to benefit from airtime minutes. The airtime used is deducted from a single rate plan. This is a great way to save costs and not waste minutes. 5) Finally, how does the vendor’s customer service rate? Many providers ship product straight from the manufacturer, not taking time to test the phone, charge the battery, remove the pin code and more. At GlobaFone, we do all of this , and ship phones in a complimentary user kit. Our clients enjoy knowing they are not blindly receiving a phone that may or may not work. We are available 24/7 so there is always help available. Is your provider there when you need them? So I encourage you to ask your provider a lot of questions. Don’t just go with a ‘low price wins’ mentality; it iwll cost you much more in the long run. I speak from experience, having seen it time and time again; a client chooses the lower cost option and then has (expensive) problems. Recently, a group of University of New Hampshire nursing students travelled to Ghana, Africa, on a 2 week long humanitarian trip so they could offer their services to area clinics while also promoting health education. The trip was a huge success in that the group assisted with births, immunizations, and even learned about the spiritual side of healing. However, the expedition was also a lesson in worldwide communication and proved how challenging it can be to make a phone call when you are halfway around the world. In an effort to prepare for the journey, group organizers planned to rent an international cell phone upon arrival at the airport. With little time to catch a van ride to their final destination, the tired travellers were now enduring a seven hour bumpy ride with no cellular communications. Luckily through GlobaFone, they were able to secure a satellite phone rental just a couple of days prior to departure through a personal connection here at our office – thank goodness! The satellite phone became their only means of communication on the long van ride, one in which worried parents back home desperately wanted to know if their kids had safely arrived at their destination. With free airtime from GlobaFone, the 15 students were able to connect with loved ones with no interruptions, and clear connections. Parents were happy, students were revived with a quick hello from home, and they were able to charge the phone en-route to their lodgings so it could be used again during their stay. In addition, contacts at home were even able to send free text messages via the Iridium website. The students eventually did get an international cell phone which provided great rates, but the phone was unreliable since the Ghana government performs power diversions, so electricity is not always readily available. This power restriction can affect not only land lines, but cellular towers as they require a power source. With 30 hours of standby time, the Iridium satellite phone also required charging, but uses a gateway to make phone connections and not a cellular tower. Overall, the students were encouraged they had accessibility to the satellite phone and used it to touch base with contacts in the United States throughout their stay. The costs for the satellite phone were higher, but its accessibility rounded out the price. So, if you will be travelling abroad and need reliable communications, consider a satellite phone for backup communications. The Iridium 9555 is a great communication tool especially if you want to send text messages. The Iridium 9505a is a little more intricate when it comes to checking voice mail and sending messages, but works just as well as its counterpart. Travelling abroad or planning a deep sea fishing voyage? Visit our website for a complete list of satellite rental phone rates or call 1-800-826-6152. This webinar will benefit Telecom Managers, Buying Agents, Contracting officers, and Telecom Analysts.